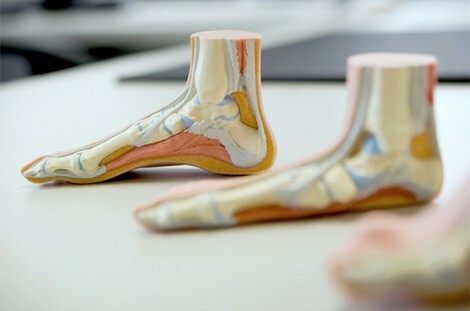 This module will present several hypothetical case studies in a podiatry clinic setting to help introduce the basics of biomechanics from a podiatric perspective. You will work through assessment, differential diagnosis and management of some commonly presenting musculoskeletal disorders of the foot and ankle. In addition you may describe mechanisms of injury and also prescribe foot orthoses correctly based on assessment test outcomes and current best practice. By integrating biomechanical theory into the management of musculoskeletal and non-musculoskeletal conditions of the foot and ankle you will be effective in long term management and, hopefully, resolution of the conditions you see in clinic every day. Apply mechanical principles to biological tissues in a clinical context. Apply knowledge of anatomy, function and pathomechanics to differentially diagnose musculoskeletal conditions of the foot and ankle. Describe sequential events in mechanical terms that lead to an injury. Apply commonly used podiatric paradigms in the treatment of conditions related to pronation and supination of the foot. Alter the mechanical environment of the foot and ankle using footwear, orthoses, padding, hosiery and other applications in podiatry. Written by expert authors from the Society of Chiropodists and Podiatrists faculty of Podiatric Medicine and General Practice. This 10 question module has designed to test and improve your knowledge of Podiatric Biomechanics.